WHY DO WE Design & Develop Websites? At Extra Catchy everything we do in website designing or developing is for clients to give them the power to reach billions of customers globally without having to setup any physcial place. 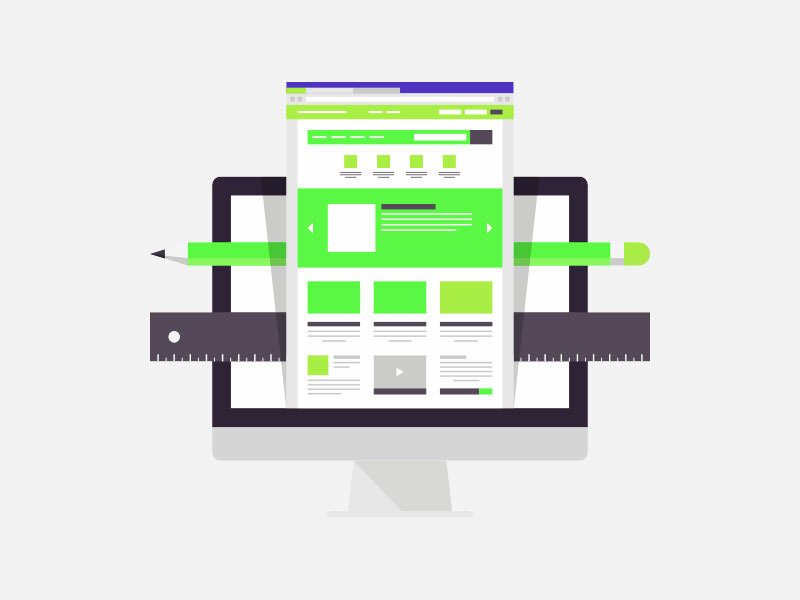 How DO WE Design & Develop Websites? We believe that the more unique, professional, and user-friendly your website are the more visitors it can attract and can convert into leads too. So whenever we start any company's website designs or development, We focus on creating something new, something professional, something catchy, and something user-friendly. Every website we design and develop, we make it unique, mobile-friendly, tablet, desktop-friendly too. We make these websites compatible by using some internet languages. Extra Catchy is established for the company's who wants their business successful in the digital online world. So for every kind of business company's we design and develop websites. We are become quite experts in designing and developing websites. Just take a look at few of our works. Yes, you heard it right. We are labeled the best website design company in all over Mumbai & Navi Mumbai by our clients. Extra Catchy is a 24/7 website company at Mumbai that delivers the top level of creative and catchy website services. We design all types of websites and also to all types of products and services companies for. We take every project as a unique & important assignment and delivering it on time with creativity is our top priority. Our team is experienced, and expert of their respective domains. Your work is precious to us & we ensure it is built by web designing and development experts, not novices. Allow Extra Catchy to do its justice, and get ready to grab the opportunities that will certainly arise from a purpose-driven effective website. Try us. At Extra Catchy we are also blogger and blogging since 2 years and have also designed for lots of clients a Blog website and Personal Website. We build and design CMS based website for bloggers to make easy for them to posts articles, tips, tricks, etc. Also, we focus on speed of website load and SEO structure, so our clients don't have to worry about loading time and SEO friendly website. We do not only aim to be the best website design company in Mumbai but all over the India. One of the best things that we do for our clients is to make their stores available at the global level. So the clients can easily get customers not only from the country but also all over the world. We are the best company in Mumbai that designs and develop e-commerce websites that are fast and more user-friendly. We focus on providing the high quality of e-commerce website at a low price. We integrate all of the payments gateways, create a shop, checkout, cart, billing, categories, and other pages for the e-commerce websites. And also there are no limits of pages that you need to worry. There is a saying that a website is the online platform that tells about the company's products and services quality. That means if your website looks professional you are professional and vice versa. With by keep in mind, we build lots of professional websites that you can take a look to our portfolio which will tell you how good and creative company we are at designing professional websites in Mumbai. As we all know, technology is growing really fast and nowadays every business need websites that can prove the people you are athentic and are professional. We at Extra Catchy build amazing business websites that are unique, creative, professional, user friendly, responsive (mobile, tablet, desktop friendly), and SEO optimized. In business website designing and development, we focus on presenting your website in a qualitative way that makes the users to say "WOW" and purchased your products or services without hasitating. By building lots of Corporate website since many years, we become the experts in it. We exactly know what way the corporate websites look and how much has benefits of designing and developing corporate websites. In corporate websites design, we focus on making the appearance of the website in a way which can easily tell the users that this is the corporate company's website. We make the home page as beautiful and as informative that users won't leave without knowing your services and products in a single page. The awesome features that can let you easily edit, delete, add and manage whole websites without having to the knowledge of HTML, CSS, Jquery, PHP codes. With the help of CMS based website you can do whatever you want on your website such as update the content, upload images, videos, add pages, change menu button etc. The restaurant website is the best source for the clients who operate the restaurant to connent with lots of peoples from the localize area or where from he/she wants to get customers and provide services. Nowadays, When someone comes to any new place, they open Google and search for restaurant near "place name", etc. So if you don't have websites, you would miss that oppurtinity. We are best restaurant website design company in Mumbai that provide a great creative, user friendly and SEO optimized. As you know the real state business have very high competion and for someone who wants to start or have recently started real estate agency, are have to face hundreds of diffulty to get projects. But if you get build high quality and creative website of your Real Estate business, you will gain lots of trust from corporate companies as well as from the normal public and your business would appear to them professional real estate agency. We at Mumbai the best real estate website designing and developing industry which can give you one stop solutions for all your website's related query. We at Extra Catchy are the professional website design company in Mumbai who has the great and creative experience of building website for medical. We know a medical companies website how should be looking to attract peoples and grab their attentions. With the help of few of our website strategies such as combination of good colors, space, user-friendly structure, great images, SEO optimized we design & develop awesome medical websites. Do you know most of the new peoples who visits a new place, always search for hotels online. If have websites and Registered to Google business, you will get the lots of customers. We know because of the lots of keyword research that we conduct and found that there are 100k+ to 1 millions search conduct in 1 month of query likes "hotels nearby, hotels near me, hotels near this place, etc". We are the company in Mumbai that designs and develops hotel website that generates customers and profits for the hotel's owner. Whenever someone wants to gove to the someplace he/she contact to travel agency and get the price and transport details. How they get contact details of travel agency, they search to Google or Yahoo, or on Bing and type the query like "Travel agency nearby, travel agency for Mumbai to USA, etc". If you have build the website and done SEO for your website, you will get that customers and can earn lots of profit. We are the top travel website designing & developing company in Mumbai with have many years experience. Look at our Portfolio page to check the creative and professional designs of websites. Do you want to get design and develope website for your local business from the top website design company in mumbai, Then Extra Catchy is the company for you. When we build local business website, We focus on the user experience, SEO optimized code, creative design, images, navigation, mobile friendly, desktop friendly and tablet freindly, and on many things too. We have designed lots of websites for small local business and large local business, you can look our portfolio page. The Photography website is the place where the Photographer or Interior or Exterior designer website showcase their works to the millions of internet users. We build the photography website that looks professional, creative, great user experince and fast to open. We are called the best photography website design company in Mumbai that are build website in a resonable price.